Fencing masters are often mistakenly thought of as invincible engines of destruction. 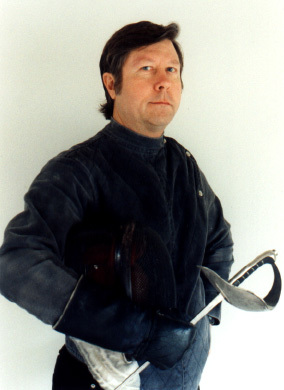 While such people are often highly skilled in the use of the weapons of their trade, their true strength lies in their knowledge of fencing theory and technique, and their ability as teachers to pass it on efficiently and effectively to their students. Because of the corruptive influence of the money and politics that plagues the Olympic Games, fencing around the world has become a tragic, dumbed down version of its former self, drastically altered to suit athletic prowess over skill with the blade. Now taught by "coaches," many of whom come from countries with no fencing history, so-called "Olympic fencing" has brought fencing in its classical form, and the fencing masters who teach it, to the verge of extinction. My interest in fencing now lies not just in teaching, but more importantly, in preserving fencing in its classical form.